Baked paté as good as it gets! Serve warm as a nutritious light meal with mashed potato and steamed vegetables or snack-style, either warm or cold, with favourite pickles or pickled vegetables, sweet chilli sauce and olives. Be sure to also try Carolié’s Chicken Liver Pâté With Bacon & Port. 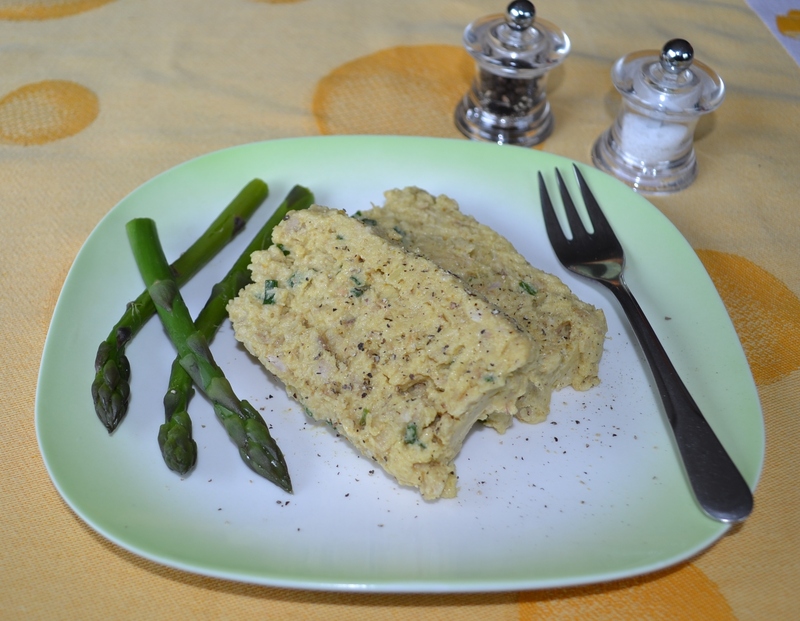 An extraordinary light and attractive cold dish to make with cooked chicken or turkey. Use one large ring mould or loaf-shaped dish with at least 1,5 litres capacity or 6 to 8 x 200 ml or 10 to 12 125 ml moulds. Melt together the butter and cake flour and stir in the curry powder, chicken stock powder and water. Bring to a boil, stirring with a whisk, until smooth and thickened and simmer for 2 minutes more. Place the gelatine in a suitable container, cover with the 100 ml water and microwave on MEDIUM for 30 seconds or until melted. Stir into the curry sauce, cool and refrigerate until the mixture starts to set. Stir in the chicken or turkey, spring onion and mayonnaise, fold in the cream and season to taste. Grease the mould(s) with oil or non-stick cooking spray and divide the mixture between the small moulds or pour into the large mould. Refrigerate for at least an hour or until completely set. Turn out onto a large platter or individual plates and garnish with lettuce and salad garnishes as preferred. Serve with wholewheat bread or crisp bread rolls with butter. The chicken may be substituted with leftover cooked turkey. Recipe by Carolié de Koster for the Art Of Cooking Recipe Book p. 41. Baked patés are classic and ideal to add to the menu for festive summer meals! They are less complicated to prepare than it seems, rich in goodness and flavour, has an appealing slightly coarser texture and is easy to slice for serving. * The bacon is good but optional – the pate may be baked without lining the dish with bacon or adding bacon to the mixture. 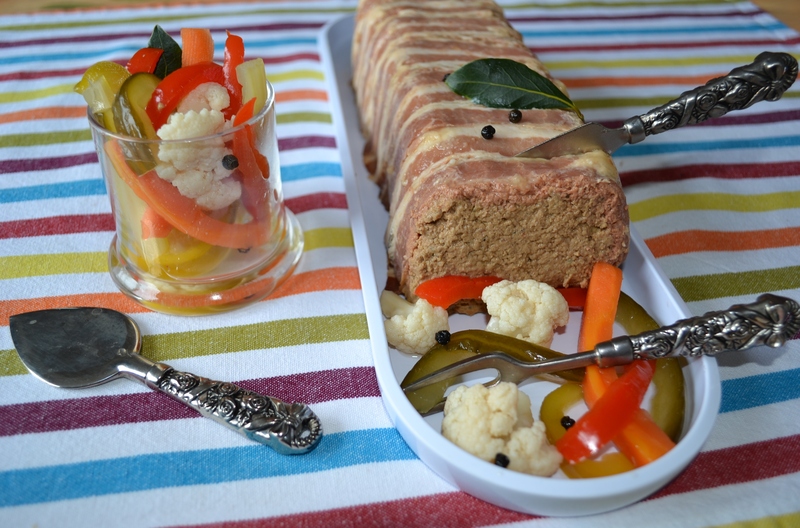 * Home made pickled vegetables (see recipe) compliment the liver pate perfectly! Line a 1.5 litre loaf shaped dish or baking tin with lightweight aluminium foil and line with the 250 g streaky bacon. Remove membrane, ducts and gristle from the liver and cut into small portions. Melt together the butter and flour in a saucepan and stir in the milk. Bring to boil, stirring with a whisk until smooth and thickened. Place the chopped bacon in a large shallow saucepan and cook and stir for 5 minutes. Add the liver, onion, garlic or garlic and herb seasoning and celery and cook 5 minutes more, stirring from time to time liver firms up and is just cooked. Add the liver mixture and all the remaining ingredients to the white sauce and process in a food processor or with a stick blender until quite smooth. Pour the mixture into the bacon lined dish. Stand the dish or tin in a pan with sufficient water to come halfway up the side and bake about 1¼ hours or until firm and set. Cool, cover and refrigerate the baked pate at least 2 hours before loosening and turning out onto a platter. Garnish decoratively as preferred and serve sliced as explained above. Serve with Pickled Vegetables if preferred. Recipe by Carolié de Koster for the Art Of Cooking Recipe Book p. 27. Very neat to serve as a warm first course or light meal. A fragrant white rice such as Basmati rice or jasmine rices gives excellent results but brown rice, cooked until very tender, may also be used. If preferred, the prawns in the sauce may be replaced by shredded smoked trout or salmon, a small tin of anchovies drained, or 250 ml sliced and sauteed mushrooms. 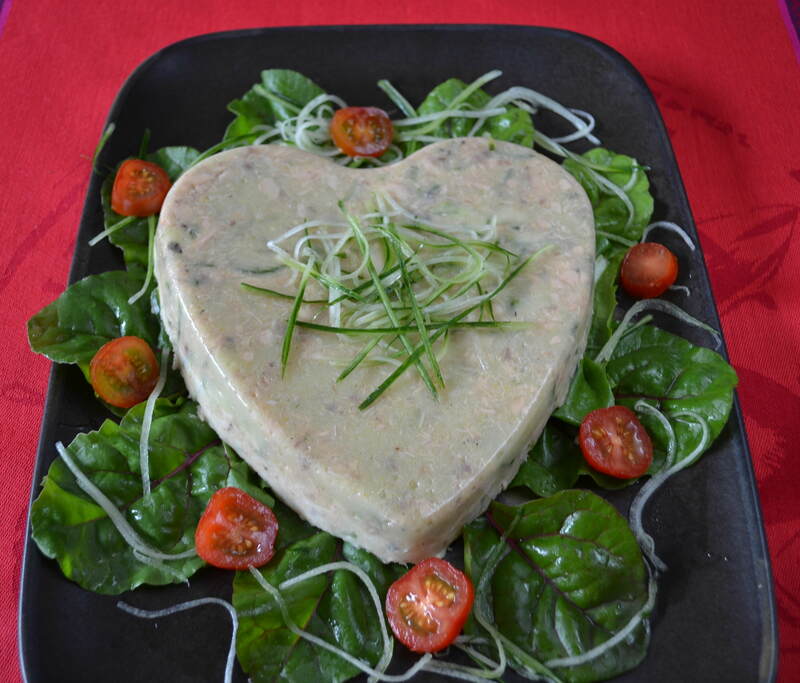 Left-over fish terrine may be served cold with bread or salad and pickles. A terrine is a French term used to describe a preparation made in a rectangular earthenware dish with tall sides. Terrines are often made of mixed meats or game, as in a pâté or foie gras; but the term can also apply to terrines made from vegetables, seafood or fruits. Terrines are flavored with a variety of seasonings, and often enriched with alcohol, then usually cooked covered in a bain marie to ensure even cooking and to prevent the ingredients from drying out. Ranging in style from the rustic — served straight from the container and making handy picnic food — to the elegant, served in neat slices that show off their ingredients, terrines may be served warm or cold, depending on the preparation. Cut or fold a double layer of wax paper to fit the length of a 1.5 liter ovenproof loaf-shaped dish or bread tin. It should be wide enough to extend well over the long edges. Line the dish or tin and grease the paper and the unlined short sides well with butter or non-stick cooking spray. Place the raw fish in the bowl of a food processor and process until a smooth thick paste is obtained. Melt together the butter and flour over moderate heat and stir in the milk. Bring to the boil, stirring continuously, to form a smooth thick sauce. Stir the fish, rice, eggs, cream, salt and pepper into the sauce and pour the mixture into the prepared dish or tin. Bake in a pan half-filled with water at 160 ° C for 45 minutes or until set. Cook the sauce while the terrine is baking. Melt together the butter and flour and stir in the milk.Bring the the boil, stirring continuously, to form a smooth sauce. 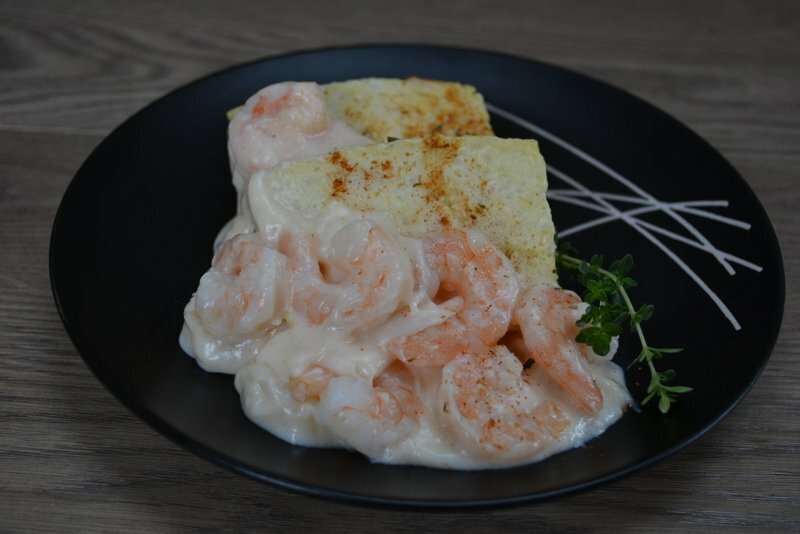 If frozen, rinse the prawns with water to remove any ice particles and stir into the sauce, together with the tomato puree or sauce, Tabasco sauce and seasoning. Turn out the fish terrine into a suitable serving platter and spoon over some of the sauce. Garnish as preferred and serve the remainder of the sauce in a separate bowl. For a curried terrine, add 7,5 ml curry powder, 5 ml vinegar and 15 ml chutney to the fish mixture. Adjust the seasoning to taste. Recipe by Carolié de Koster from the Art Of Cooking Recipe Book p. 44. This Ancient Roman dish makes the perfect appetizer. 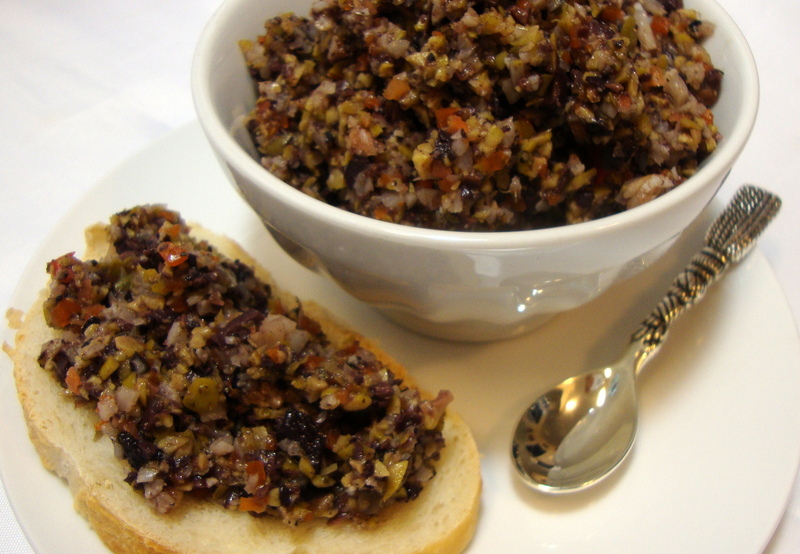 You can use the Tapenade, also known as Olive Paste, as a condiment, with pasta or as a spread. 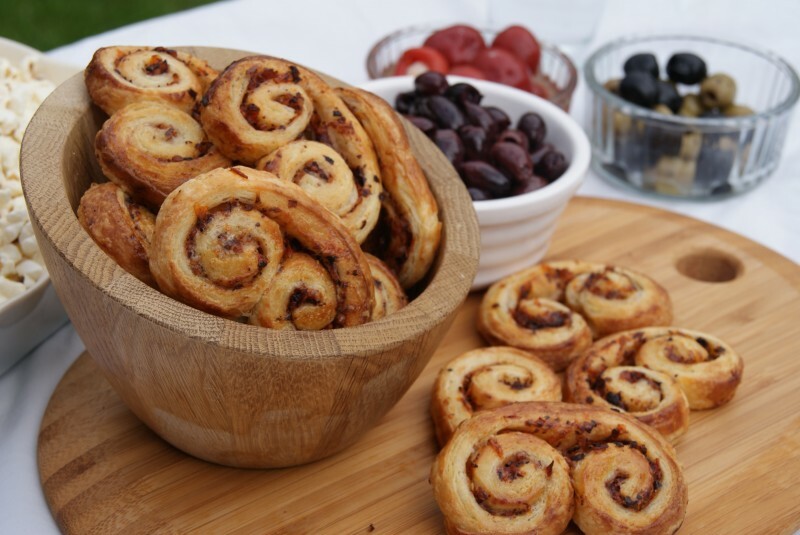 Be sure to try Olive Tapenade Palmiers. Remove the rosemary leaves from stalks and chop it finely before adding it to the blender as well. Discard the stalks. Add the thyme and anchovy paste and blend thoroughly until the mixture forms a paste. Add the extra virgin olive oil a teaspoon at a time, keeping the olive paste more on the “dry” side. Transfer the paste to a serving dish and serve with bruschetta, crostini, vegetable crudités, etc. 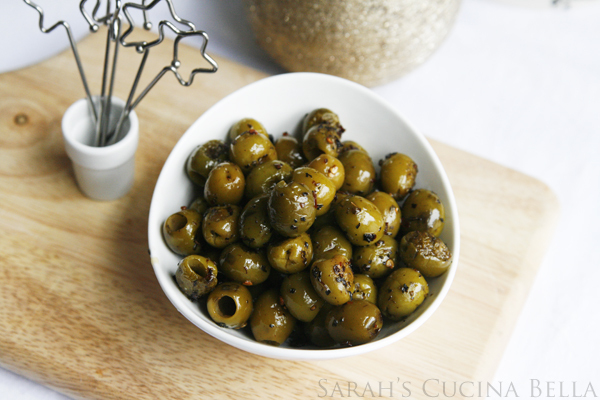 These olives can be served warm as part of an antipasti or meze platter. Tip: Always buy whole olives and pit them yourself with an olive pitter. Combine the ingredients in an 20 cm square baking dish, cover with foil and bake until fragrant and heated through – 20 to 30 minutes. Transfer to a serving dish and serve warm as part of an antipasti platter or stir into cooked pasta, etc. Recipe adapted from Sarah’s Cucina Bella. A palmier (French for “palm tree”), is a French pastry that gets its name from its resemblance to a palm leaf. It is also known as elephant ear, palm leaves, French hearts, palmeritas (Spanish). It is made from puff pastry, so it is crispy and flaky. The traditional sweet palmier is coated with sugar, but a variety of savoury fillings ranging from olive tapenade to sundried tomato paste, to basil pesto, can also be used. Palmiers are made by folding the left and right sides of the pastry to the middle, then folding the dough in half again length-wise, sandwiching the first folds inside. Sliced into individual cookies, this is what gives the palmiers their distinctive “palm” or elephant-ear shape. You can also roll the sides of the puff pastry toward the middle, making even more layers and giving the palmiers a more rounded look. Pre-heat the oven to 200º C and line two baking trays with Wizbake baking sheets and set it aside. Remove the pastry from the packaging and unroll the pastry on a Wizbake baking sheet. Cover the pastry “log” with cling wrap and refrigerate for 30 minutes to give the dough time to firm up. This will make them easier to cut and also help them puff better in the oven. Transfer the log back to a chopping board, remove the cling film and slice the log across into cookies roughly 1 cm wide with a sharp knife. Transfer the cookies to prepared baking tray, laying them cut-side up. Make sure to space the palmiers a few centimeters apart — they will puff quite a lot in the oven! Shape each slice with your fingertips so that it is round at the bottom with two neat curls at the top, so that it looks more or less like a heart shape. Bake for about 10 minutes or until golden. Let the palmiers cool for a few minutes on the baking tray, then transfer to a cooling rack to cool completely. Transfer the palmiers to a serving platter and serve as savoury cocktail snacks. Palmiers are best the day they are made, but can be stored in an airtight container for several days. They will gradually lose their crispiness over time. Salty, crunchy, and full of flavor. This irresistible snack is healthy too! Make a double-batch if you don’t want to run out halfway through a rugby game. 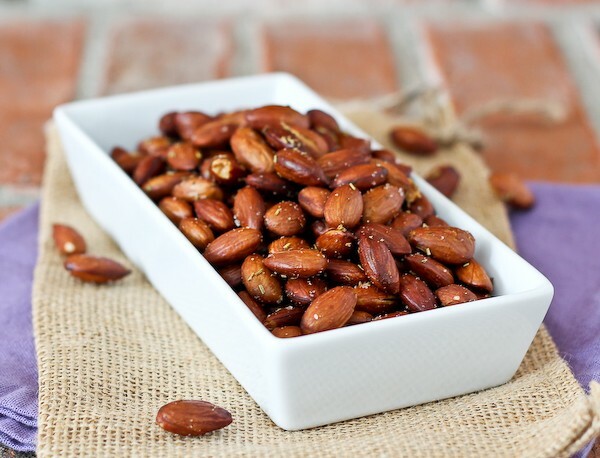 Combine all ingredients in a medium bowl and mix well until the almonds are well coated with the oil. Line a large baking sheet with a Wizbake baking sheet and spread the almond mixture out onto the baking sheet in a single layer. Roast for 10 minutes, stir, and continue roasting for another 10 minutes. Cool completely on the baking sheet before storing in an airtight container until ready to serve. Olive Salad is one of the key ingredients in the Muffaletta sandwich, a make-ahead sandwich that consists of a round loaf of broad which is filled with cold cuts of meat, cheese, vegetables and olive salad. It tastes just as great served as a relish with braaied meat, etc. To make the olive salad, combine all the ingredients and then allow the flavors to mingle for at least 1 hour prior to serving. Store, covered, in the refrigerator until ready to use as one of the fillings of the Muffaletta sandwich. 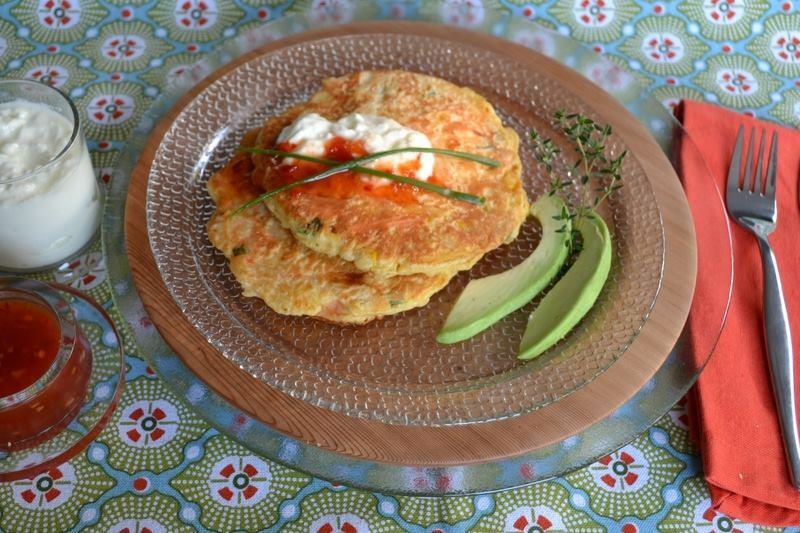 Corn fritters are part and parcel of New Zealand’s favourite everyday food and served in Cafés all day long. Enriching these favourite fritters with additional vegetables and cheese turns them into a most nutritious and tasty light meal or in between snack. Place the flour, seasoning, corn, olives, baby marrow, cheese and spring onion in a mixing bowl. Stir to combine evenly and make a well in the centre. Add the eggs and milk and mix gently until blended. Brush a non-stick pan with olive oil and heat to medium hot. Spoon the mixture into the pan and spread out into a neat circle about 1 cm thick. Cook until light golden brown on both sides. Serve warm or cold with variable ingredients listed above. 2. The baby marrow/zucchini can be substituted wtih chopped fresh spinach. Recipe by Carolié de Koster. 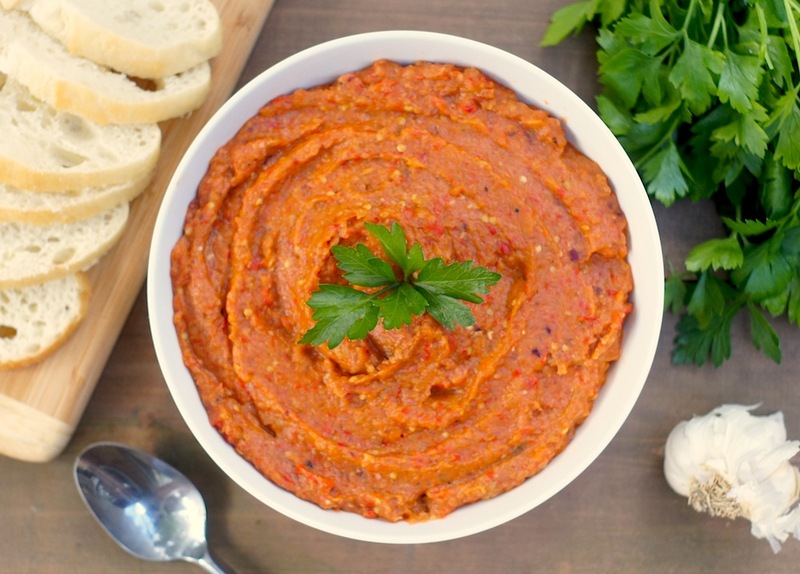 This tasty sauce can be served as a dipping sauce with crudités, crisps, bruschetta or fresh bread. It can also be mixed with cooked pasta! Pre-heat the oven to 200 °C. Line a baking tray with a Wizbake baking sheet and set it aside. Peel the aubergines and slice into 1 cm thick slices. Transfer the aubergine slices to the prepared baking tray and brush each slice on both sides with olive oil. Place the baking tray in the oven and bake for 20 minutes. Turn the aubergines halfway through the cooking time. Set the aubergine slices aside to cool. To skin the tomatoes, fill a medium saucepan half full with water and bring it to a boil. Fill a medium mixing bowl half full with water and add some ice cubes. Set the bowl aside. Slice a shallow X into the bottom of the tomato (opposite the stem side). Place the tomatoes into the boiling water and for about 30 seconds or until you see the X begin to split open wider. Transfer the tomatoes to the bowl of ice water and let them cool off. This will help to stop any “cooking” that has started. Remove the tomatoes from the ice water and place them on a chopping board. Begin peeling the skin at the X, pulling the skin back gently towards the stem side. Discard the skin and quarter the tomatoes. Remove the seeds and transfer it to the bowl of a food processor. Add the cooled aubergine to the food processor and set it aside. Transfer 5 ml of the olive oil to a saucepan and stir-fry the spring onion and garlic in the heated oil for 1 to 2 minutes. Transfer the spring onion mixture to the food processor. Add the olives, parsley, basil, sugar, salt and pepper to the food processor and process with the pulse action until smooth and blended. Stir in a tablespoon of yoghurt or crème fraîche if you like a creamier dip. Spoon into a serving dish and serve as a dipping sauce with crudités, crisps, bruschetta or fresh bread. Place tomatoes, vinegar, cayenne pepper and curry powder in a small saucepan. Season to taste and simmer for 10-15 minutes or until thickened slightly. Preheat the oven to 180 °C. Place pitas on two baking trays and brush lightly with oil. Bake for a few minutes or until just golden brown. If your oven is small, do this in two batches. Cut open each pita. Divide the sauce between the pitas. Sprinkle over the cheese and spring onions and bake for 10-15 minutes or until the cheese is melted. 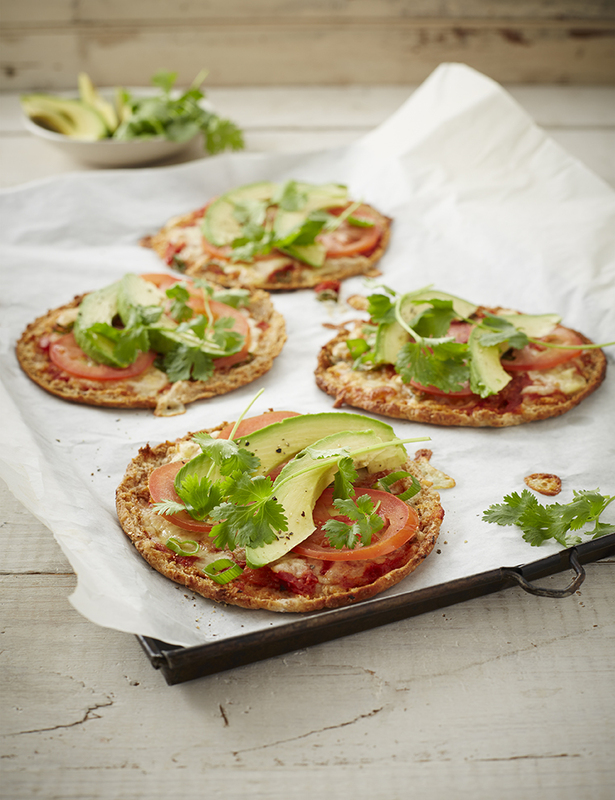 Place fresh tomatoes and avocado on top and garnish with coriander. Other veggies, such as spinach and peppers will also be delicious. Or add a cooked protein to the pitas, like bacon, chicken or spoonfuls of mince. Serve as a starter with teaspoonfuls of sour cream and a homemade tomato. Recipe by Heleen Meyer from Make five/Maak vyf. 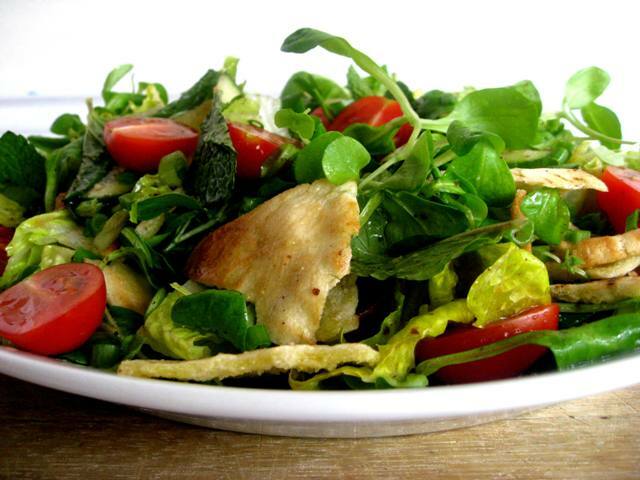 Fattoush is a Lebanese version of a bread salad that includes toasted and crumbled pita bread chips. Fattoush means “crumbled bread” in Arabic. It is similar to Panzanella, the Italian bread salad. The Italians use ciabatta croutons instead of pita bread. a handfull romaine lettuce, watercress, butter lettuce, etc. Place all the salad ingredients in a bowl and sprinkle with salt and black pepper. Combine the ingredients for the dressing and add to the bowl. Toss all together lightly and refrigerate until ready to serve. To make the pita bread chips, pre-heat the oven to 190°C. Cut the pita breads into triangles and arrange in a single layer on two large baking trays lined with Wizbake baking sheets. Combine the olive oil, garlic, sea salt and pepper in a small mixing bowl. Using a silicon brush and coat both sides of the pita triangles with the olive oil mixture. Bake the pita triangles for 10 to 12 minutes or until a light golden brown color. Turn the pita triangles over half way through baking. Be careful not to burn them! Set the pita chips aside to cool. Transfer the salad to a salad bowl or platter and garnish with crumbled pita bread chips. Leftover pita bread chips can be left whole and served with hummus or your favorite dip. The pita bread chips can be stored in an airtight container for up to 3 weeks. The pita bread chips can be substituted with wheat-free crackers, etc. One of the lightest and most refreshing mousses imaginable! For a plain cucumber mousse to serve as an elegant salad or as part of a salad platter, omit the fish. Place the gelatine in a suitable container (500 ml capacity), cover with 125 ml water and microwave on MEDIUM for 30 secondsto 1 minute until melted. Or place the bowl over a saucepan of simmering water and melt over the steam. Mix the chicken stock powder and hot water and stir into the melted gelatine. Cool and refrigerate until the mixture just starts to set around the edge of the bowl. Meanwhile, grate the unpeeled cucumber coarsely and drain in a colander for 15 minutes. Place in a mixing bowl and stir in the slightly jelled chicken stock. Add the salt, onion and salmon and mix well. Add the cream and egg-white and fold together gently but thoroughly until evenly blended. Pour the mixture into a mould with a 1 liter capacity or 8 to 10 small individual moulds. Cover and refrigerate for at least 1 hour or until completely set. When ready to serve, loosen the sides and turn out the mould(s) onto a suitable serving platter or individual plates. Garnish decoratively with any of the items listed above and sprinkle with freshly ground black pepper. Recipy by Carolié de Koster from the Art Of Cooking recipe book p. 37. 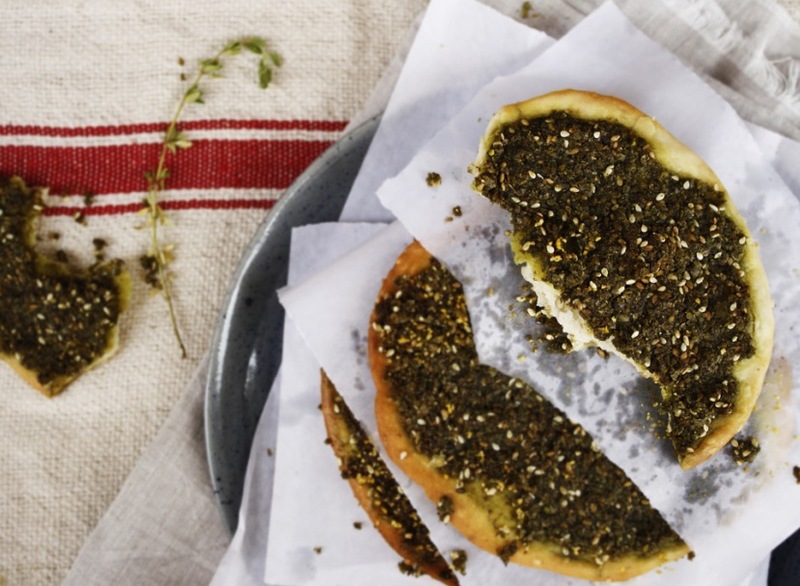 Brush sop-bought or Home-made Pita Bread with olive oil and sprinkle generously with the Za’atar Spice Mix. 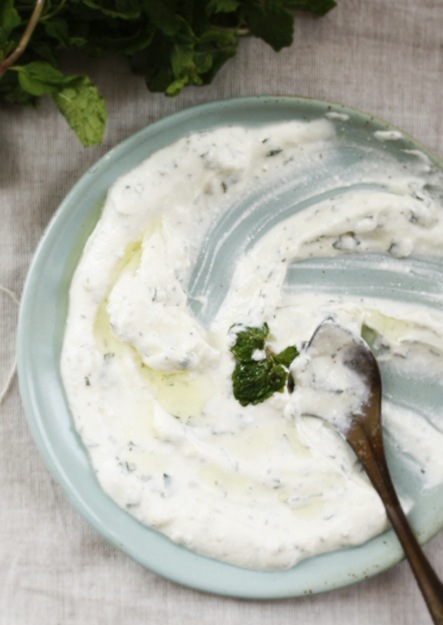 Serve with labneh (Greek yoghurt) as part of a mezze platter. Labneh is made by draining full cream yogurt for a few hours to remove its whey, resulting in a relatively thick consistency, i.e thicker than conventional yogurt but less firm than cheese), while preserving yogurt’s distinctive, sour taste. Labneh is a popular mezze dish and sandwich ingredient in the Middle East. It is usually eaten in a fashion similar to hummus, spooned on a plate and drizzled with olive oil and often, dried mint. Line a strainer with a few layers of cheesecloth or muslin cloth and set the strainer over a deep bowl. It should be deep enough so that the bottom of the strainer is a few millimeters above the bottom of the bowl, where the strained liquid or whey will collect. Stir the salt into the yogurt, then transfer the yogurt into the lined strainer. Fold the ends of the cheesecloth or cloth over the yogurt and refrigerate for at least 8 to 12 hours. Or longer if you want a thicker labneh. Remove the strained cheese from the cloth and transfer it to a bowl. Set it aside. Cover and refrigerate for at least an hour before serving. Transfer to a serving dish, drizzle with olive oil and serve with store-bought or Home-made Pita Bread. Shop-bought Greek yogurt can be used if pressed for time. Pâté is a mixture of cooked ground meat and fat minced into a spreadable paste. Common additions include vegetables, herbs, spices, and either wine, brandy or cognac. Pâté can be served either hot or cold with crackers or crudité. It can be served as an appetizer at a dinner party, or as a light lunch. It takes less than a half-hour to prepare, and it will firm up in the fridge in a few hours. Simply pack the mixture into a serving dish or glass jar, cover and refrigerate. 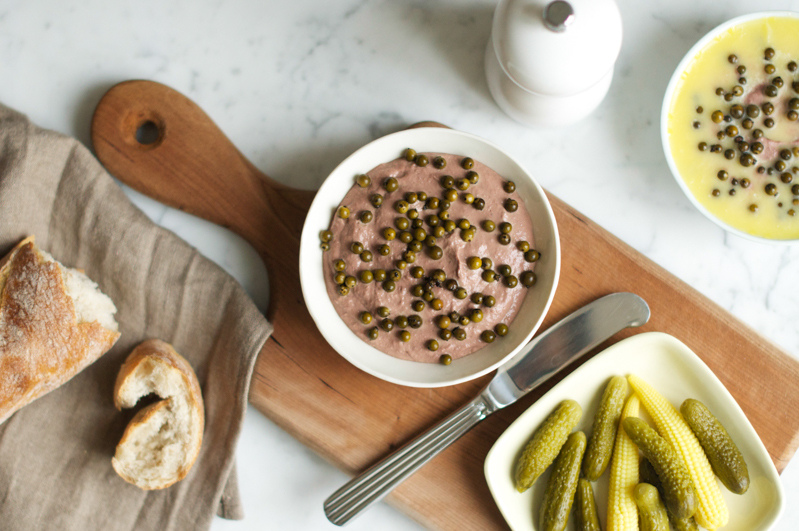 Be sure to try Julia Child’s Chicken Liver Mousse recipe too! Cut the chicken breasts into bite-sized cubes on a chopping board with a cook’s knife. Set aside. Chop the bacon coarsely as well. Heat the butter in a large saucepan and add the onion, chicken and bacon and stir-fry until cooked. Add the garlic, chicken livers, port or sherry, salt, cream and peppercorns, if used. Bring to a boil to reduce the liquid. Remove the saucepan from the stove and set aside to cool. Transfer the mixture to the bowl of a food processor and process until smooth. Transfer the pâté to one large serving dish or to a few smaller dishes. To make the the topping, melt the butter in a small saucepan and add the parsley. Simmer for a few minutes to cook the parsley. Pour the butter and parsley mixture over the pâté to seal and set aside to cool. Cover the dish/dishes with cling wrap and refrigerate until ready to serve. To make the crostini, heat the oven to 180°C. Arrange the bread slices on a baking sheet in a single layer (do this in batches if needed). Bake until toasted, about 10 to 15 minutes. Repeat with any remaining slices. 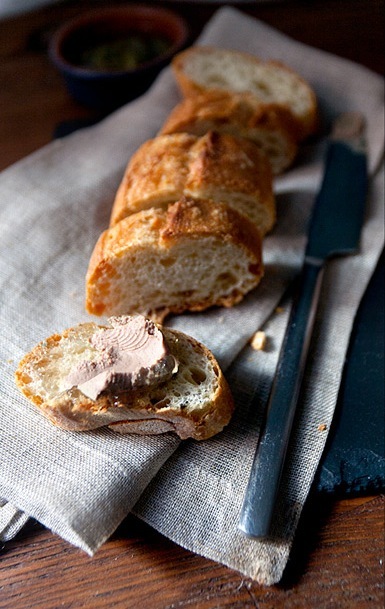 Serve the pâté with crusty bread rolls as a starter or stir into cooked pasta. Alternatively, transfer the chicken livers to a container and set aside to cool down before storing in the fridge. Substitute the cream with yoghurt or cottage cheese for a low-fat pâté. Leftover cooked chicken or bacon can be used. Recipe by Carolié de Koster from the Art Of Cooking recipe book p. 26. I just had to include Julia Child’s chicken liver mousse which I adapted from Mastering the Art of French Cooking. Be sure to also try Carolié de Koster’s Chicken Liver Pâté With Bacon & Port from her Art Of Cooking recipe book. Remove any greenish or blackish spots from the livers, as well as any sinew. Cut the livers into bite-sized pieces. Pat the livers dry, then place in a large mixing bowl and cover with milk. Cover and let sit in a refrigerator for at least two hours, or overnight. Melt butter over medium heat in a sauté pan until foam has subsided. Sauté the livers with the shallots in butter for 2 to 3 minutes, until the livers are just stiffened, but still rosy inside. Scrape into the blender jug. Pour the cognac into the pan and boil it down rapidly until it has reduced to about 50 ml. Scrape it into the blender jug. Add the cream and seasonings to the blender jug, cover and blend at top speed for several seconds until the liver is a smooth paste. Add the melted butter and blend several seconds more. Adjust seasoning to taste. Pack into a jar, seal and chill for 2 to 3 hours.